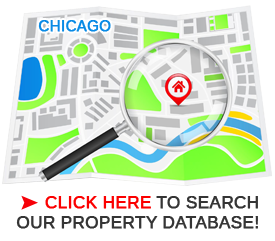 With 16 years of real estate experience and a licensed real estate broker since 2003 my professional experience includes the development of six high profile new construction projects in the downtown Chicago area. This experience included sales, leasing, marketing and management working with several prominent Chicago Developers. I am an energetic professional who enjoys the details and truly advocates for my clients. I excel in representing clients in residential transactions as a buyer, listing, and rental agent. Additional experience includes acting as tenant broker for commercial office space leasing. My ability to analyze and interpret the market to navigate and negotiate a successful sale or lease are a few of the skills I am proud to possess. I have an enthusiasm for real estate and a passionate to develop exceptional relationships to create positive results for every transaction. Rachel Brandstaetter is a consummate professional! We absolutely enjoyed working with Rachel and would not hesitate to recommend her to anyone buying or selling a home in the Chicago-land area. We first had the pleasure to work with Rachel in the Summer of 2014, for the sale of our townhome in Lincoln Park. Not only were we under contract in less than one week, but we also sold our home within two weeks and at the highest price point of any townhome in our complex. We know that these amazing results were due to Rachel's spot-on market analysis and expert negotiating skills. We were so impressed with Rachel's high level of professionalism, that we immediately contacted her to help us with the purchase of our next home in the Western suburbs. As we expected, Rachel once again delivered! She quickly became versed in the nuances of buying a home in the suburbs. She again provided us with detailed market analysis and was able to negotiate a purchase price that far exceeded our expectations. Throughout both real estate transactions, Rachel kept us, as well as all the other interested parties, continually informed. She was detailed, timely and knowledgeable every step of the way. Rachel's professional demeanor, high level of service and depth of real estate experience truly sets her apart from other agents. Rachel Brandstaetter's services were integral to my acquisition of my condo, and I believe she provided exceptional service as a real estate agent. Her unhurried, patient approach to understanding what I wanted proved invaluable as I was able to acquire the perfect condo for my living situation. I was never pressured to make a decision, and Rachel was more than willing to show me properties from a wide range of areas that I had shown interest in. I was most impressed by her professionalism and her friendliness. During the few weeks she and I met to look at new properties, I had never known her to be late. Furthermore, I was impressed with the research she had done prior to meeting me to look at properties. Rachel gave great advice as to which properties might be more suitable for me given what I told her. Furthermore, she advised me on how marketable the properties might be in the future in case I was to sell any prospective property at a later point in time. She was willing to go the extra mile and speak with the real estate agent on the other end of the sale for my condo to broker a better deal so I could purchase it. Rachel and I had really good conversations during the time we were scouting for possible locations. I am proud to call her a friend, and my continued communication with her is a testament to how much I valued Rachel's service. It was good fortune that I found Rachel who worked on the purchase of my condo. We toured several properties that met my criteria until I found the one that suited my needs. She was willing and very capable at negotiating a favorable price for me. Her professionalism and knowledge of the market were quite impressive and if I had any questions, her response was factual and timely. The overall experience of home shopping was easy and pleasurable thanks to Rachel. I highly recommend her for any home purchase. My name is Matt S. and I HIGHLY recommend Rachel for any real estate needs! I was a first time home buyer and wasn't familiar with the purchasing process and steps. Rachel was kind and patient enough to walk me through the details and she spent a great amount of time showing me properties so I could be both comfortable and knowledgeable about the market/neighborhood to make an educated purchase. Rachel was happy to answer any and all questions I had and was patient and never pressured me to make a quick decision. Rachel was really the jack of all trades as she connected me with great legal and lending services to complete the home buying process. One of Rachel's strengths was her ability to negotiate as we were able to get the seller down from the list price for a property that had already went through a recent listing price drop. She was very informative of the market and had hard data evidence this had a high probability of being a great investment as soon as 3-5 years down the road based on the status of the housing market. My favorite thing about Rachel was the fact she didn't just treat me as another Client and really took the time to get to know who I am and what was important to me in a home search. I'm happy to say she found me the perfect condo that had all the features wanted in my purchase. I will definitely be going to Rachel when I'm ready to list or lease my property when that day comes. We began our Chicago home search in April, 2014 while living in Michigan and met Rachel during a weekend visit. Over the next several months while working through the details of our move, Rachel maintained contact with us, providing up to date information on the Chicago market and sending applicable listings matching our search criteria. When we had questions or needed additional information, Rachel always responded with pertinent information in a timely manner. Once we determined our specific timeline for moving to Chicago, Rachel arranged for us to see several properties over a two day period. Before visiting the first listing, she provided us with well-organized documentation detailing the condos we would be seeing. As we visited each condo, she offered insightful information regarding price, building amenities, and location. The feedback Rachel provided was very much appreciated as she demonstrated extensive knowledge of the Chicago market. Because Rachel worked with us from the beginning of our process, she was able to translate our needs into a highly targeted search, and we were able to make a successful offer on a condo within a few days of our arrival. From offer to closing, Rachel served as a true advocate, providing excellent advice regarding the details of our offer, and effectively managing the transaction to completion.